I get a lot of conspiracy emails at my blog, wemeantwell.com. Various “truthers” want me to believe that the CIA or the Mossad or the Spiders from Mars did 9/11, and that Obama was born on the Planet Mongo and is thus not even human, never mind an American Citizen. C’mon folks, try it again, using “facts” this time. At the same time, I find myself worrying a bit. 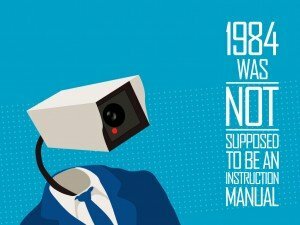 Stuff that fell into the conspiracy theory catalog last year now is old news: the government is indeed reading your email, your snail mail, your Facebook, all the while listening in on your calls. Torture and indefinite extra-judicial imprisonment are just another thing the government does. Whatever really happened to bin Laden will likely never be known, as the records were secretly moved into CIA hands where they will not be subject to Freedom of Information Act requests. Drones have been used in the U.S. Oh, and a secret court is making secret laws that affect all of us, in secret. So, given all that, this next item is probably nothing. Another coincidence. Two burglars broke into a Dallas law firm, bashing through a wall, and stealing only three computers while leaving other valuables behind. The law firm targeted represents State Department whistleblower Aurelia Fedenisn. Fedenisn revealed that she’d seen internal investigations called off by higher ups. The State Department accused her of removing “highly sensitive, internal documents” containing “personal information and unsubstantiated allegations,” and explained that it was working to secure the documents once again. The thieves also tried to pry open a filing cabinet at the lawyer’s office. Coincidence. An office across the hallway from the whistleblower’s lawyers that was left unlocked and was full of valuables, as well as fourteen other computers, was untouched by the thieves. Coincidence. Not too long ago, a thief entered the offices of the Government Accountability Project, one of America’s premier whistleblower representatives, and stole only some attorney laptops. Nothing else, not even purses left out. The theft occurred just as the government’s case against NSA whistleblower Tom Drake was collapsing. His attorneys’ computers were taken. Coincidence. In 1971 John Ehrlichman, assistant to president Nixon, approved a covert operation to break into Pentagon Papers whistleblower Daniel Ellsberg’s psychiatrist’s office and examine his medical files. The purpose was to get a “mother lode” of information about Ellsberg’s mental state to use to discredit him. Naw, I think I’ve just seen to many spy dramas on TV lately. I mean, who could think that the government would be involved in anything like breaking into a law office in search of info on one of its whistleblower critics? Also coincidences: Death of Andrew Breitbart, the coroner who handled Breitbart’s case and died of arsenic poisoning, and Michael Hastings, where the LAPD refuses to release the accident and toxicology reports, or make the crashed Mercedes available for inspection. Nothing to see here you proles, go about your business.